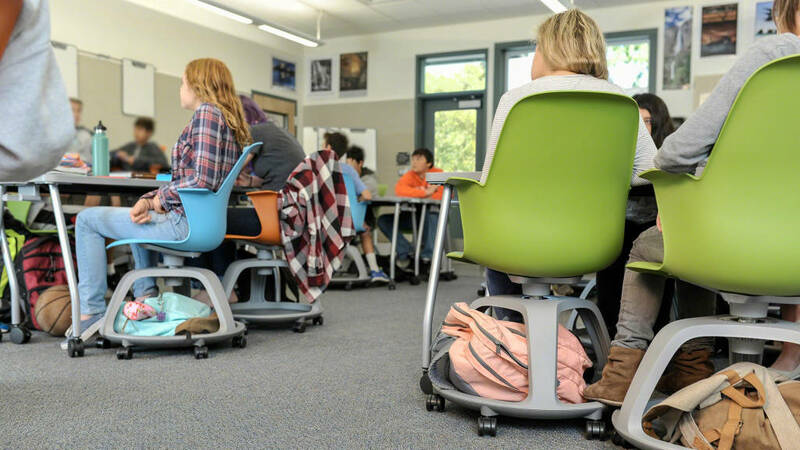 Hall Middle School—in northern California’s Larkspur-Corte Madera school district—renovated their learning spaces to accommodate Steelcase Education furniture solutions. One week into the semester, the novelty of moving the furniture wore off. The students got over that excitement of being able to move. But in the process they’d learned they have the freedom to reconfigure the classroom. That made it that much more effective. Distraction went way down, and they saw better results. Read the case study.